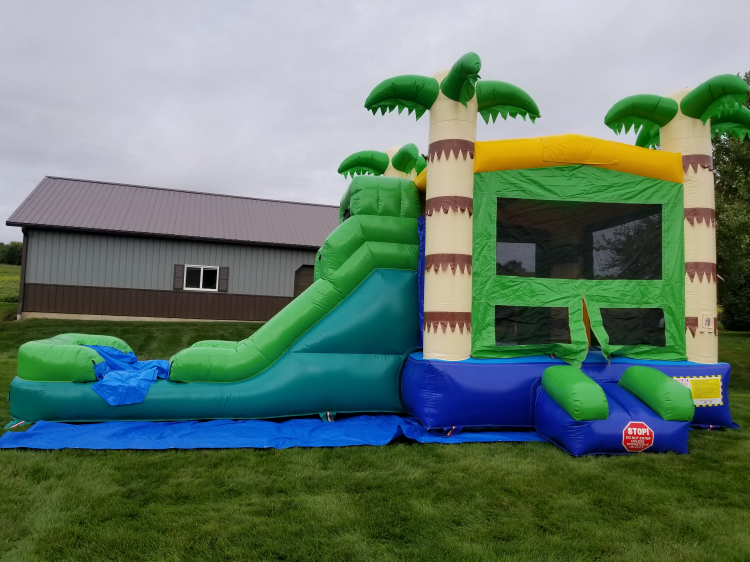 This colorful Tropical Castle Combo is the most versatile inflatable for any indoor or outdoor event and is a great way to cool off during hot summer days. 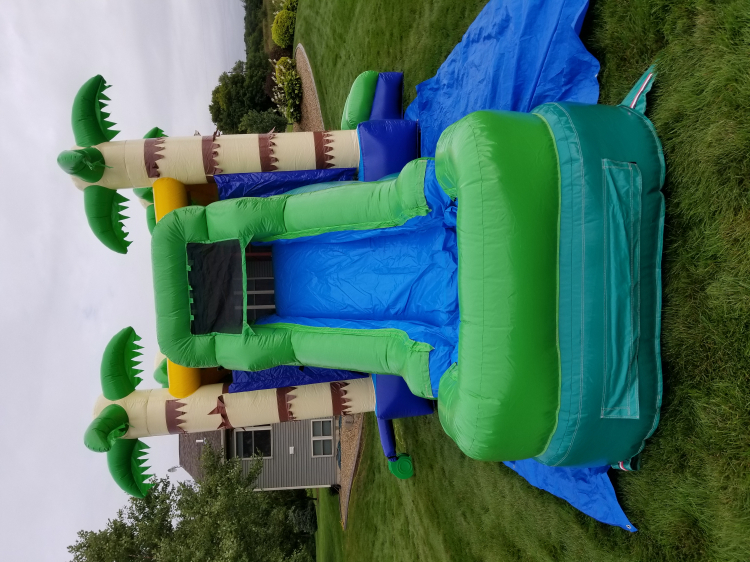 This inflatable allows riders to bounce in the bouncy area, play basketball with the hoop inside, climb up the ladder stairs, and take a ride down the slide safely. Bright colors fit into any celebration theme and any event, including: birthday parties, school events, anniversaries, fundraising events, church, corporate events, and any other occasion that you can think of. The pictures were taken at our customer`s place in Waunakee, Dane County, WI.